Contemporary African Art, Issue #011 Museums of tomorrow; the way forward..
A serious note for #011 - Museums of tomorrow; the way forward.. This project remains in the ether at present but it evokes a fantastic image of creating spaces which define where we would like to be… it stands (literally) as the projection of a vision of brilliance and of a commitment to the Arts on this continent. The title of this newsletter is borrowed from the National Gallery of Zimbabwe; this was their event in March of this year. The Conversation happened between Raphael Chikukwa, Chief Curator of the National Gallery of Zimbabwe and Mark Coetzee, Executive Director and Chief Curator of the Zeitz Museum of Contemporary Art Africa (Zeitz MOCCA). 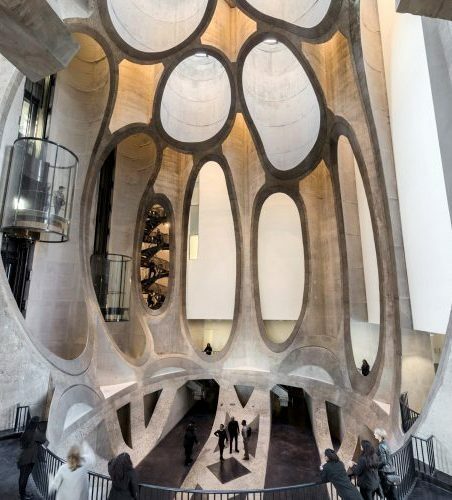 Below are some images of existing buildings dedicated to contemporary art; one in Cape Town (Zeitz MOCAA) and the other two are from the Middle East but they are exemplify what is required for elevating art presentation in a dynamic, modern environment. 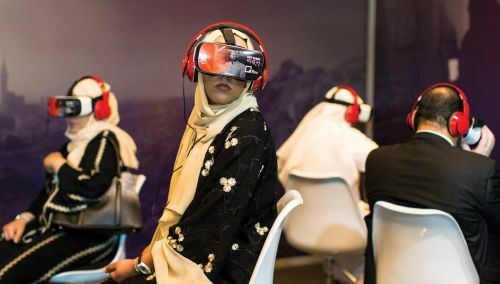 Just love this picture from Art Dubai captured by photographer Christopher Pike.. So... beautiful spaces and high technology but where and how do we start to achieve this level of high achievement on the African continent? The theme was finding ways to help art teachers teach art in Schools at all levels.. an enlightening experience. A fantastic 60 teachers eventually turned up from all outlying areas of Manicaland, some from 150 kms away. What became quickly evident was an encouraging, strong desire from the teachers to keep up to date but it was coupled with extreme frustration: Turns out an impressive and heavy-duty, 113 page Arts Curriculum (VISUAL AND PERFORMING ARTS JUNIOR (GRADE 3-7) SYLLABUS) which includes Adobe Photoshop skills for 11 year olds, is almost completely unsupported in most Government schools. I do believe that when art becomes an ACADEMIC and not a practical subject, when parents and teachers see the value in art and design as a career alternative for their children and their students, when headmasters demand that their schools are engaged in visual creative processes all over their school grounds, classrooms and halls, when self-expression and intelligent reflection of society is encouraged within the subject.. then, and only then, will we be making inroads at ground level. If these creatively nurtured and nourished students come up through the system to enter all the associated fields of art and design, then African contemporary art will flourish. - As an example of the current situation in Zimbabwe in 2018, and I suspect throughout many of the other African countries, Art falls under: MINISTRY OF YOUTHS, SPORTS, ARTS AND RECREATION. Very shockingly, art is not mentioned once in either of the Vision, Mission, Core values or Function statements of either of these Ministries. For example the Vision Statement reads as such: “Vision: A Zimbabwean society that fully exploits and utilises sport and recreation to foster development, social integration and empowerment”. One has to assume that Art falls under Recreation??! How on earth are students, teachers and parents going to be convinced that a life and career in the Arts is going to be a viable option when the Government appears to not even have this subject on their horizon… let alone in their hearts and minds?? If Zimbabwe is a reflection of the rest of Africa then I would venture that currently we are going backwards not forwards. All that being said about education, WHERE and HOW do Museums and National Galleries play a role in furthering Contemporary African Art? What do all of these art shows have in common? PARIS ART SHOW, April 2018 - Cape Town Art Fair, Feb 2018 - London art fair, Jan 2018 and looking ahead… AKAA Paris, Nov 2018. She is having a very good year with attendances at all of them. Born in Germany, lived in Italy and France and currently living in South Africa since 2010. Her experience of residing within the Kliptown community was seminal to the process of her photographic and video documentation and her graphic interpretation using different techniques and media. Boehm’s art focuses on reinterpreting historical portraits of African people; showing them in new contexts with new associations. 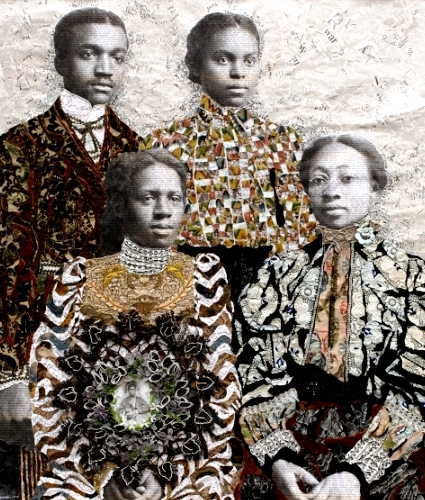 She uses fabric (shweshwe cloth), photographs, newspaper, lace, pastels, graphite; all manner of collage material to recreate new identities. On the 28th of February 2018, Bonhams Auction House in London achieved a very remarkable sale. ‘Tutu’ a long-lost portrait of an Ife princess by Ben Enwonwu achieved a record 1,205 000 British Pounds, a new record for this artist’s work, especially astounding given that it had an estimate of 200 000 -300 000 pounds. The sale was podcast to Lagos where bidders were able to participate in real time. Bonham's Director of Modern African Art, Giles Peppiatt stated, "The portrait of Tutu is a national icon in Nigeria, and of huge cultural significance. I am delighted that it generated so much interest and set a new world record for the artist. 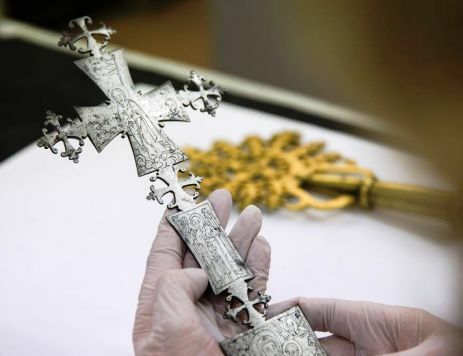 It is very exciting to have played a part in the discovery and sale of this remarkable work." BROOKLYN MUSEUM, new curator of African art… Kristen Windmuller-Luna. 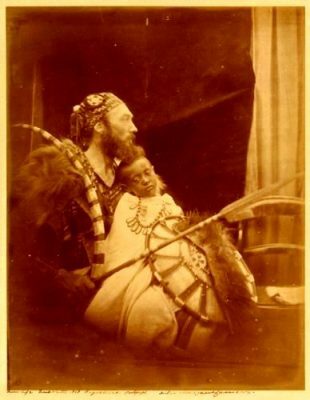 The consternation about a young white woman being elected to this position continues to be vocalized but Brooklyn Museum is sticking to their guns declaring their full confidence in Windmuller-Luna to do the required job at hand (which is to oversee a new temporary installation of The Institution’s African collection). They had this to say… ‘With her anti-colonial approach to curating, she has devoted her professional life to celebrating the individual identities of historical African cultures, and to communicating how those vibrant societies play powerful roles in the world at large. Her priority at the Museum is to create dynamic, multi-vocal installations that speak to all our communities, including those of African descent, both locally and nationally”. Whitley is a young black woman born in Washington DC and currently a curator at the tate Modern in London. 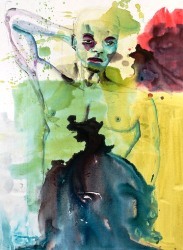 Her most recent exhibition was titled “Soul of a nation: Art in the Age of Black Power”. Whitley is not even a British National and yet there has been little negativity expressed over her appointment as curator of the British Pavilion in Venice. One assumes it is accepted that she is the right person for the job? I feel it’s a pity Kristen Windmuller-Luna cannot be afforded the same respect as an appointee who obtained her position through her merits and her well-proven substance and experience. Augustus (Gus) Casely-Hayford is the new director for the Smithsonian national Museum of African Art which arguably has the most important collection of African art in the US. 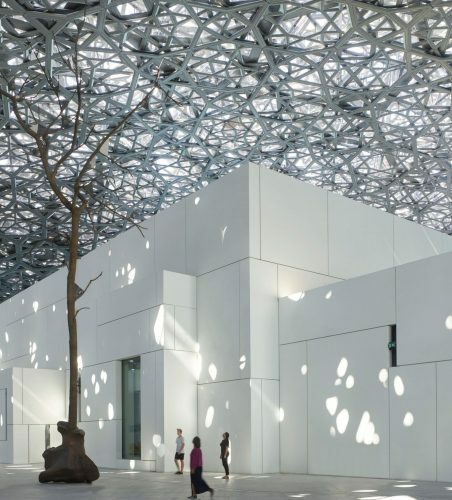 He says "Our priority first and foremost is to preserve African art… our loyalty, even beyond our collection, is to African culture and heritage." Collaborating directly with African countries is key he says, just as returning African art pieces to the African continent is also. I wonder whether Windmuller-Luna has the same mission? I suspect she does. Dr Esther Mahlungu… a national treasure, born 11th November, 1935, South Africa. 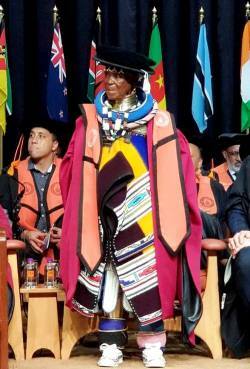 Adorned in traditional attire, world renowned Ndebele artist Esther Mahlangu was awarded her honorary doctorate by the University of Johannesburg for ‘her legacy as a cultural entrepreneur and educator, skillfully negotiating local and global worlds”. In May of this year she will participate in an international women’s exhibition which includes Yoko Ono at the Cradle of Mankind in Johannesburg. 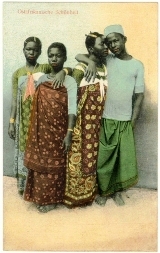 Works from different time spans and locations come together in this travelling exhibition to show how the Eastern coast of Africa was shaped by the Swahili civilization. Artistic forms, motifs and meanings are all influenced and carried across borders and cultures… art pieces become objects of mobility, trade and imperialism. This exhibition is being co-curated by Katy Siegel from the BMA, with Kelly Baum, the Met’s curator of contemporary art, a spokeswoman for the Baltimore museum confirms. … and continues in September, 2018 at the Metropolitan Museum of Art, New York. It contains 40 sculptures alongside his paintings from the Black Monoliths series, the first time they have been seen together. While the late Jack Whitten was not born in Africa his art delved deeply into the spiritual nature of his African forefathers’ culture and religion and from this regard is deeply interesting and significant. 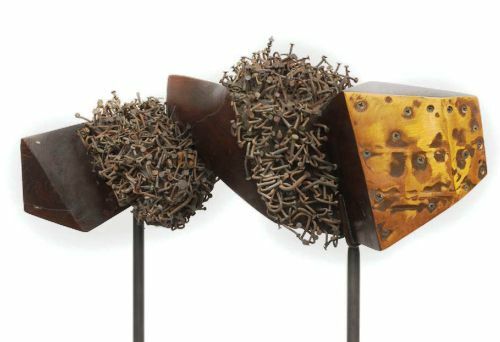 His sculpture Homage to Malcolm created in 1965 first used the 3 elements that would become his trademark: embedded nails, painted horns and an asymmetric, decentralised composition. 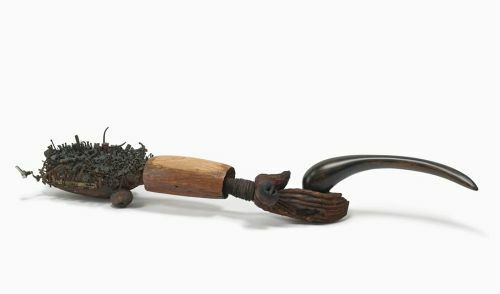 He also started collecting found objects to use in a symbolic and representative manner way before the trend of recycling and upcycling took place. The 13th edition of the Biennale is primarily government funded (70%) and will host 75 exhibiting artists from all over the continent including their own 5 Senegalese artists. Guest curators: Elvira Dyangani Ose, Marisol Rodriguez, Bonaventure Soh Bejeng Ndikung, Alya Sebti and Hou Hanru. Each of them will curate a collective show with 3-5 selected artists. OFF Dak'Art 2018 is an offshoot of the Commission for Environment Events Biennial of African Art in Dakar (Dak'art). 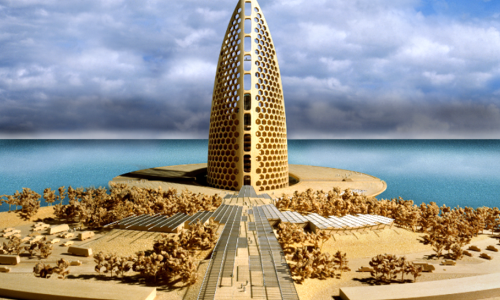 It is chaired by Mauro Petroni and Awa Cheikh Diouf is the Vice President. Over the years, the Off has gained notoriety and is of great interest to creators, collectors and art lovers. The proof.. this 13th edition of Dak'art there are 320 exhibition sites listed and over 1000 artists represented. 260 openings are planned! 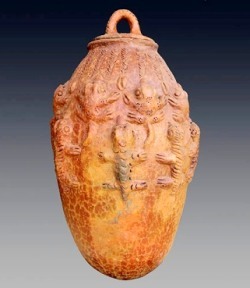 One of this gallery’s contemporary artists is named Seyni Awa CAMARA who is one of my all-time favourite ceramic artists. Internationally acclaimed she lives in Senegal in the middle of a forest in a small village called Bignona where she is truly a living legend and is considered the greatest potter of Art Brut in West Africa. Never one to shy away from addressing historical and political issues, this exhibition is all that we have come to expect from Kudzanai Churai. Hard hitting and potent. 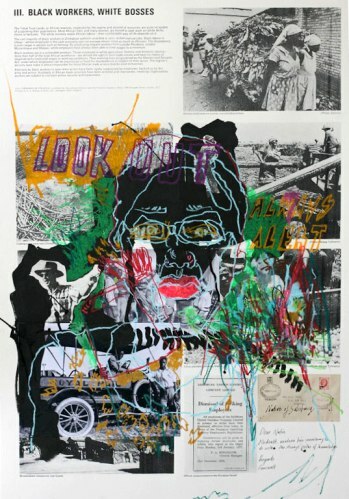 In his indomitable compelling and creative style, he has presented a number of mixed-media drawings that portray, with a great deal of research and intelligence, a past Southern African colonial landscape. Mixed with popular culture and archival material for us to absorb their intricacies and his message. I do hope you have found this eleventh edition of CAA newsletter absorbing and thought-provoking.